Service Members and Student Debt Service: Are your loans costing you more than they should? It sounds like a welcome respite from loan payments: Take a deferment on paying that loan while on active duty so there’s more cash in-house. But that could cost you much more than you expect in the long run. One service member reported that after a five-month deferment, his debt went from $61,000 to $85,000, according to a report from the Consumer Financial Protection Bureau (CFPB). CFPB has received complaints from service members who owed tens of thousands more in debt or had sudden balloon payments they couldn’t afford after they took advice from their student loan debt servicers. In some instances, the service members are badgered by loan servicers for more information or verification of duty status than the law calls for. According to the CFPB, “a military borrower is not required to inform his servicer at regular intervals of the continuation of his active military service.” The organization received several complaints from service members who said their loan servicers repeatedly asked for documentation verifying their active duty status, and that the servicers often seemed to not understand the difference between active duty and the Reserve component. One service member complained to CFPB that the SCRA was used to increase interest rates. This person had six loans with one servicer; two had interest rates above six percent rate cap, four below. Rather than reducing the higher rates, the service increased the lower four rates to 6 percent. Service members who consider loan consolidation risk losing that rate cap. Because a consolidated loan is a new product rather than a loan taken out before active duty service, it’s not protected under SCRA, the report states. Need relief from your student loans? There is help, but it can be confusing. A service member who specifically has a Perkins loan may be eligible for principle reduction if he or she serves 365 consecutive days in an area of hostility. Some loan services have incorrectly told service members they’re not eligible for SCRA unless they’re serving a year in a hostile area, the report states. All active duty personnel, regardless of where they serve, are eligible for the interest reductions allotted under SCRA. For service members with federal student loans, Income-Based Repayment (IBR) may ease the financial burden. It sets a monthly payment at a fixed rate based on the borrower’s income and family size. It also limits the principal increase that comes with deferment and forbearance, according to the report. There’s also the Public Service Loan Forgiveness (PSLF) program. This allows service members who make 120 monthly payments on time while on active duty or employed full time in an eligible public service position to have their federal student debt loan forgiven on their direct loans. But their service/payment time must have occurred on or after October 1, 2007. This combined with IBR can save a service member tens of thousands of dollars, according to the report. While many of the relief programs available to service members are not available to spouses, the PSLF program does forgive loans for people in many different careers including teaching, nursing and law enforcement. 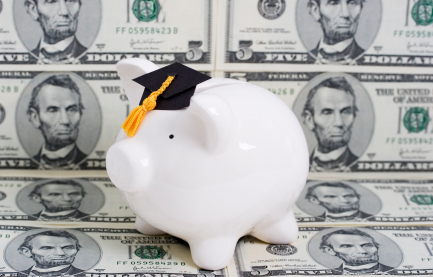 Have questions about your student loans? Call the Federal Student Aid Hotline at 1-800-433-3243 between 8 a.m. and 11:59 p.m. EST.